Our addresses: e mail and snail mail, our phone numbers, Skype, land lines and mobile. Kindly mark subject ‘Inquiry’ then your subject; this helps reduce spam and phishing, thank you. Including your subject of interest, phone number and full name helps us to be helpful for you, thank you. If we are unavailable please speak slowing and leave a clear voice message. We always reply to any clear message received. Skype is quick to install; a voice over internet (VOIP) telephony system that can be used to make free voice calls to other Skype users from your computer and or mobile phone. 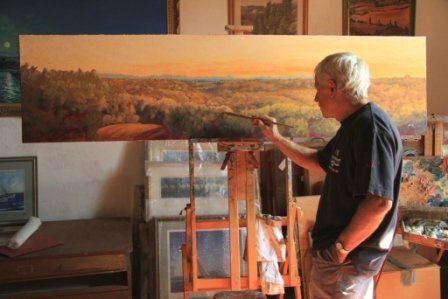 Gordon Frickers, artist, painter, has a studio in Plymouth, England and another (for better light) in France. You can contact us by e-mail, phone, text, Skype (to Skype = free) or ‘snail mail’. No reply? We always reply to any message received. Please try again. If you think we can help you in any other way don’t hesitate to ask. Gordon Frickers can also be contacted via Linkedin, www.Facebook.com/gordonfrickers and Twitter. Thank you, we look forward to speaking soon.